Dan Perry: Future World Champion? 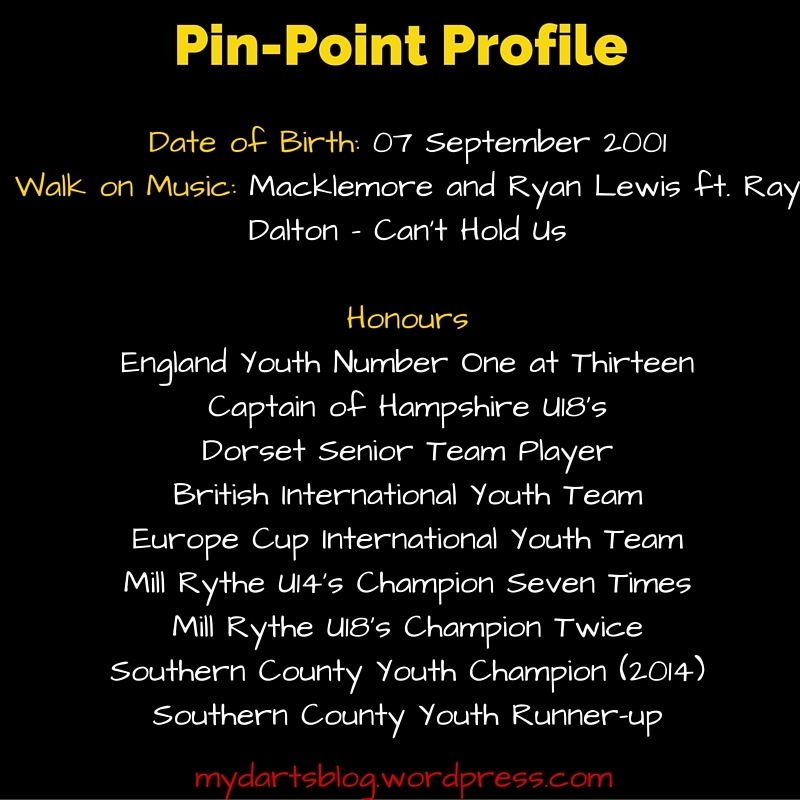 At the moment, 14 year-old Daniel Perry is a relatively low-profile, Dorset based youngster with a bright future in darts. We caught up with Dan just ahead of him leaving for Turkey and the WDF’s World Cup, to find out a little more about him and his (very short) journey in darts so far. Hi Dan. For those who don’t know you too well (yet! ), what have you achieved in darts up ’til now? “I made it to England Youth Number One at 13 years-old earlier this year. I was captain of the Hampshire Under-18’s Youth team and now play for the Dorset Senior team. I’ve played for the British International, Europe Cup International and World Cup youth teams. Wow, that is some list already! When and why did you start playing darts? Okay, so who’s the more talented player – Mum or Dad? What do your friends think of your successes? What are your hopes for the future in darts? How did it feel to be the England number one youth? How do you feel about being selected to represent England at the World Cup in Turkey? Have you enjoyed the travelling or is it a pain? 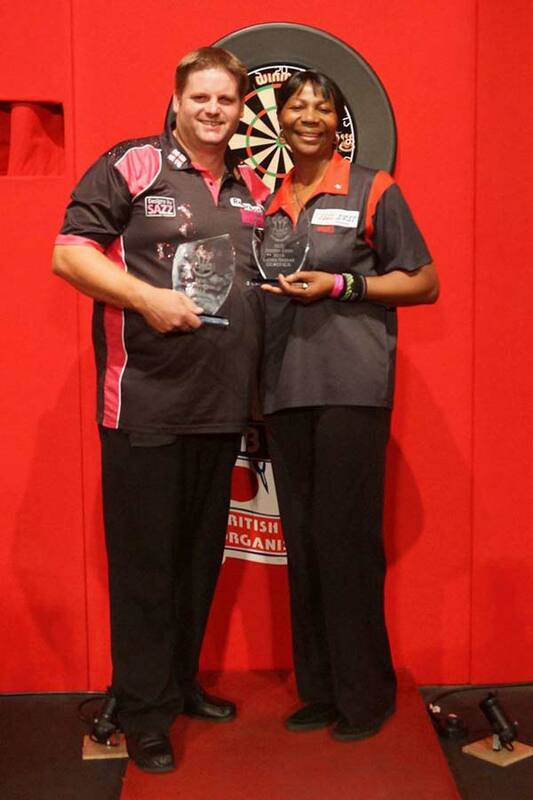 Scott & Deta – supportive members of the darting family. Have you found the darts community to be a supportive bunch? How does it feel that you could be a future TV darts star? How much of a pain is fitting in schoolwork alongside your darts? I believe you’ve just started in a new school – how’s that going and do they know they’ve signed a future star? I’ve been at this school three years now! Ah, sorry – bit of dodgy research there! But do they know they have a star? You must have been given a nickname by now – would you like to share it with us? What does it feel like to be sponsored by one of the biggest names in darts – Red Dragon? Thanks so much for your time Dan and good luck in Turkey next week, but just before we finish off, I’ve a couple of questions for your Dad, Richard. That’s Dan’s Dad, there, on the left, next to Scotty Dog. Hi Richard, I hope you’re well. 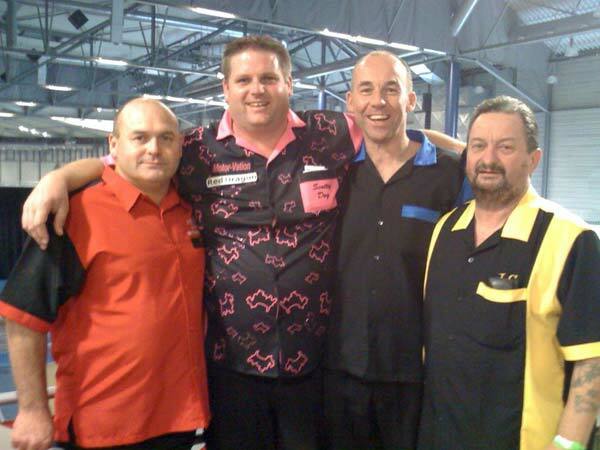 We used to play on opposing teams 25 years ago, my darts ‘career’ has stalled, what about yours? How much encouragement did Dan need to take up darts? Just how proud are you of Dan’s achievements so far? “We sponsor a few grassroots players, the youngest is Daniel. We first met Daniel (and his family, including his Dad Richard) at the Hampshire Darts Mill Rythe event at Hayling Island. I watched in awe as Daniel took to the stage in one final or other (usually winning it too) seemingly every time we were at the event! “We would normally avoid sponsoring any player under 16 as there is enough pressure on young darts players without the burden of sponsors too. However, Daniel has many things going for him. He has a very mature outlook and what we believe is a key ingredient for stepping from Youth darts to the next level, the backing of his family. If you’d like to pass on some words of encouragement, feel free to use the comments box below. If you’d like to follow us on Twitter or Facebook, that would be great. Alternatively you can join our mailing list and be amongst the first to read our articles when we e-mail them to you the minute they are published – just use the green follow button. Deta an myself have just read Daniel’s interview here in Turkey, an we are both proud to be insperation to him, we just wish to reiterate, he is as big an insperation to us too. Well Dan, you can’t say fairer than that!